Richard Fleming (42) and Liam Richardson (30) were today sentenced for their part in the violent armed robbery at Gleneagles Hotel in June last year. 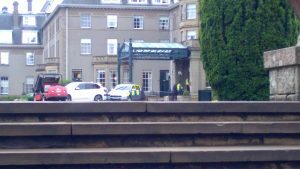 Using a gun, machete and hammers the pair had staff at the luxury Perthshire hotel fearing a terrorist attack. Their target was the Mappin and Webb store within the hotel where they removed 50 Rolex watches valued at over £500,000. None of which have been recovered at this time. At the High Court in Edinburgh today judge Lady Carmichael jailed Fleming for 18 years. Richardson, was sentenced to 11 years and four months. 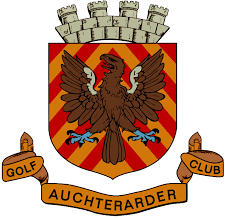 As she was passing sentence , Lady Carmichael said: “The robbery was an act of serious, premeditated criminality which involved significant advance planning with a visit to the hotel some weeks by you Mr Fleming and dummy runs of the route from Glasgow to Gleneagles in the days preceding the robbery using vehicles apparently set aside specifically for the purpose of the robbery. Lady Carmichael ordered Fleming to be supervised for three years following his release from custody. She told Richardson that his sentence would be discounted due to his guilty plea. 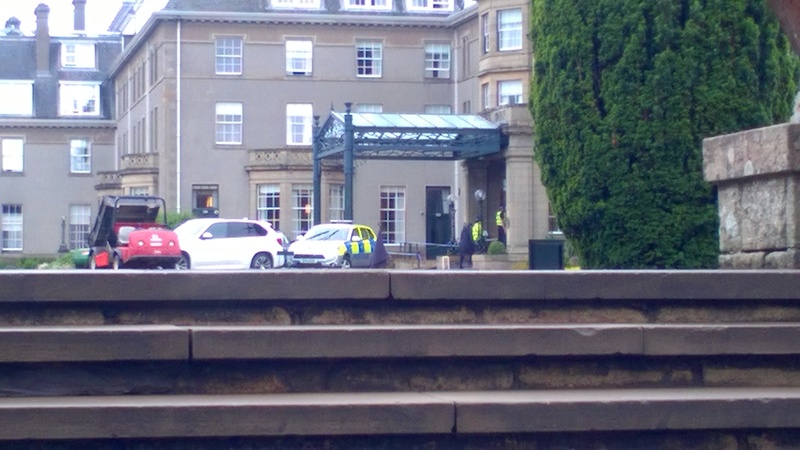 Previous to the robbery, the pair had visited the hotel and driven to and from Glasgow to Gleneagles Hotel in what appears to have been an attempt to find the best escape route. On the day of the robbery having threatened staff at gunpoint, the pair made their way from the hotel in an Audi vehicle, quickly swapping it for a Range Rover which they dumped in Glasgow. Thankfully police in Glasgow liaised with other areas and started piecing the pieces together leading to the arrests of Fleming and Richardson who were found guilty of various charges relating to the robbery in September this year. As Fleming was being led to the cells he directed abuse towards the in the room calling out : “Rat.. f***ing rat”.